So thankful to have stumbled across this simple solution to an otherwise huge problem. Saved over a 1,000 dollars and install only took about 2 hours with no rushing involved lol Great product and I strongly recommend. Great product. Fairly simple to install and fixed my oil leak. 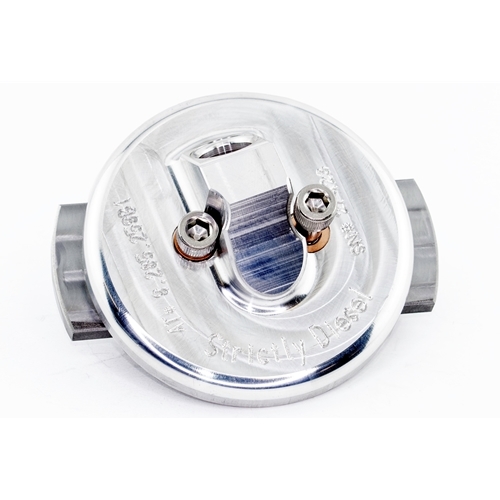 great product, i thought it was pretty simple to install, pulled the starter and cleaned the oil pan off, the adapter itself only took about ten min to install, hr tops for everything. been installed for a while now and hasn't leaked a drop of oil. First off, it gets the job done and I have no issues with the part. But I'm a pipe fitter who has worked in machine shops and operated cnc Mills and lathes...and this part is overpriced. They could sell it for $100 and still make a profit. He'll I can order a 2" machined weldneck 304SS schedule 80 flange for 22 dollars and it has 10x the material. But they got us cornered and are taking advantage our misfortune. We're driving trucks that haven't been made since 2003...most of us aren't just rolling in the dough. P.s. asked for my shirt size and didn't even get one! Lol send some KY next time I guess. OMG, sorry to say this to some of you complaining about the cost of this product (quit whining. My dealer wanted $2257.00 before taxes to fix my oil dip stick leak. For 13% of that cost, some great machine work and great directions it was fixed in no time. I jumped in my truck and took a 1000 mile road trip without worry. Don't try other fixes, do it right until you need to drop your engine. I still would rather use this dip stick kit when I drop my engine. Awesome product...THANKS MUCHO from Texas. I installed mine with the engine out of the truck on a new oil pan. Install went great. This buy will save you in the long run from several different problems. Don't be afraid. Learn how to wrench on your own vehicle. After 225000 miles the O ring finally gave up the ghost. 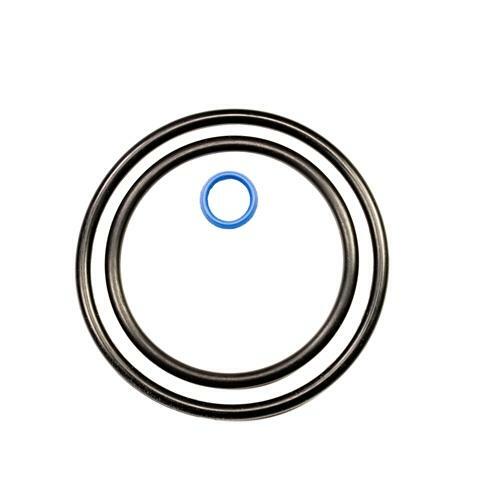 after reading all kinds of post's trying to get a new O ring into the stock location, and others trying to cover the entire outer surface with silicone or other material and hoping for the best, I did not hesitate in ordering this product. Worked like a champ! the price is well worth the time saved and piece of mind if service is ever needed on the adapter. Nice work improving on a poor factory design. After installing a new o-ring on the original adapter a few years ago only to heave it start leaking less than 100 miles later, I finally got tired of leaving oil spots everywhere I went and ordered this. A little pricey, but worth every penny! Easily installed, and so far I'm not leaking a drop of oil. Great product! As others have stated. The adapter was easy to install and truck has about 500 miles on it and no leaks. It saved me a lot of work and money. Ford wanted 1500 dollars to fix it. I don't think they liked me telling them I know it can be done without removing the engine. Great Product!!!! This product is well worth the cost. Saved lots of down time on my work truck which would've cost way more than purchase price. Went in great and no leaks, going on 10k mi. Since installed. Highly recommend, and will even buy another when other truck starts to leak. I had a slow leak for 2 years and suddenly it was full flow - about a quart every 10 miles. Took it to the dealership thinking there would be a reasonable solution but there was not. It was the Ford way or no way - which is pulling the engine and the pan. Been running this part over a week and not a single drip. Prepare to spend more than 1/2 time cleaning the area and the starter. Step #18 is the very tricky money shot. It's all by feel so dry run it a few times in your hand to know what to expect once you're committed - IE the inner flange is dropped to the bottom of the pan. This was a great and easy fix. It about 20 minutes to install and haven't had a leak since then. It sure beats removing the engine just to fix it. Best part is when the pan finally rust out this can swapped out easily. Great idea and product. This part saves you from having to pull the engine or doing something stupid like cutting a hole in the oil pan or removing the cross member. Call your local Ford dealer and get a quote from them to repair this oil leak, at least $1,000. This product is worth every penny. Quality part and easy to install. I spent $300 and an hour to install the part. The way I look at it is I saved $700 and down time of my truck. Well worth the money. I read the reviews before making my decision to purchase this product. Having repaired a 7.3 prior to this for the exact thing. I decided to give this a try. Install was way more simple and way less stressful. Yes more money, but in my opinion well worth the extra cash. I would have given this 5-stars however it is way overpriced, which I feel takes advantage of us when we are in a bad situation to begin with. Still a very well made and needed item so thanks for making it. Awesome little piece, not having to pull the motor easily makes this worth the money!